A study led by UQ School of Earth and Environmental Science researcher Dr Sean Maxwell has synthesised more than 70 years of research to quantify the responses of various species. “The growing frequency and intensity of extreme weather events such as cyclones, droughts and floods is causing unpredictable and immediate changes to ecosystems and obstructing existing management efforts,” Dr Maxwell said. 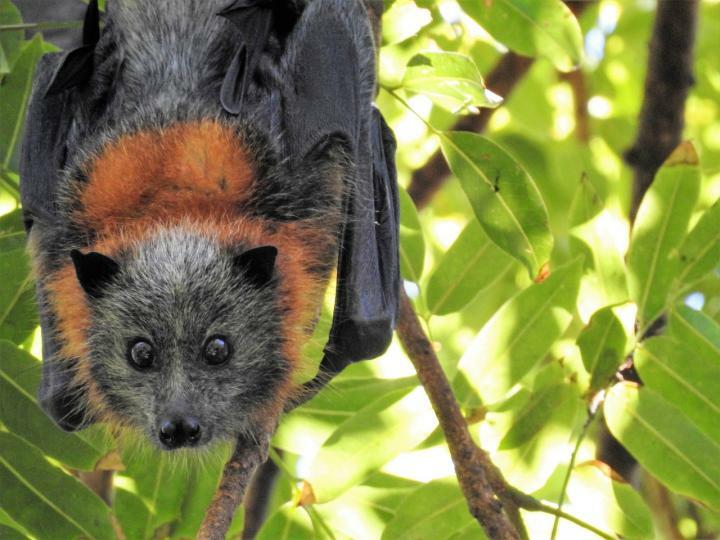 “The deaths of up to one third of Australia’s spectacled flying foxes in an extreme heatwave north of Cairns in November comes in the wake of our research, and is a stark illustration of the importance of the study. “Some of the negative responses we found were quite concerning, including more than 100 cases of dramatic population declines and 31 cases of local population extinction following an extreme event. “The research clearly shows species will respond, often negatively, to extreme events,” Professor Watson said. “As climate change continues to ensure extreme climate and weather events are more and more common, we now need to act to ensure species have the best chance to survive. The research is published in the journal Diversity and Distributions (DOI: 10.1111/ddi.12878).